Joni Sledge, the second eldest sister in the hit pop group Sister Sledge, has died, a representative for the band says. Sledge passed away at home in Phoenix, Ariz., Friday afternoon (March 10). She was 60 years old. Her cause of death has not been disclosed. "Yesterday, numbness fell upon our family. 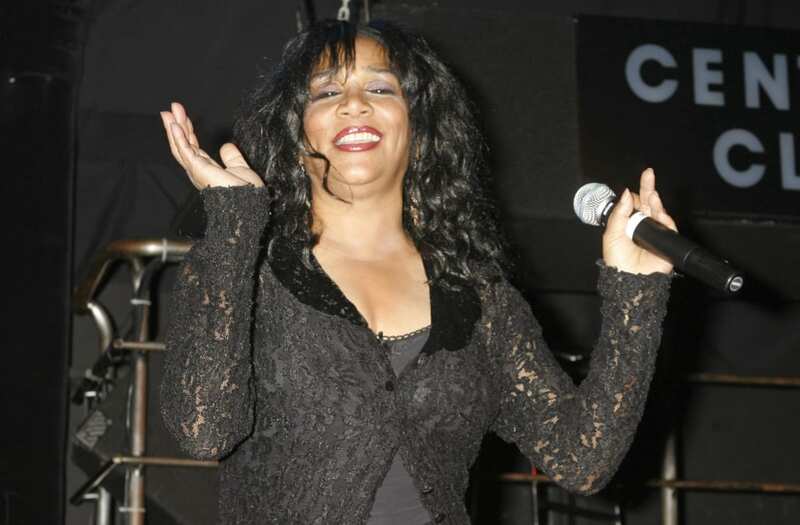 Pray for us as we weep for the loss of our sister, mother, aunt, niece and cousin Joni Sledge. We thank you for privacy as we hurt for her presence, but also for embracing her radiance and the sincerity with which she loved life," a statement issued by her family says. Sister Sledge formed in 1971 and went on to record such hits as "We Are Family," "He's the Greatest Dancer," "Frankie" and more. The Grammy-nominated "We Are Family," released in 1979, peaked at No. 2 on the Hot 100; the song also topped the R&B and disco charts. The album of the same name reached No. 3 on the Billboard 200. "Recording the track 'We Are Family' was like a one-take party -- we were just dancing and playing around and hanging out in the studio when we did it," Sledge once recalled to the Guardian. She is survived by her son, Thaddeus, and sisters Debbie, Kim and Kathy.